Our Friends over at NFL Trade Rumors, compiled a list of NFL Draft Picks that have been traded for the 2017 NFL Draft. Titans acquired the Rams first-round pick in draft trade to select QB Jared Goff. Browns acquired the Eagles first-round pick in draft trade to select QB Carson Wentz. Browns acquired the Titans second-round pick in draft trade to select OT Jack Conklin. Titans acquired the Rams third-round pick in draft trade to select QB Jared Goff. Vikings acquired the Dolphins third-round pick in draft trade to select WR Leonte Carroo. Vikings acquired the Dolphins fourth-round pick in draft trade to select WR Leonte Carroo. Eagles acquired the Browns fourth-round pick in draft trade to select QB Carson Wentz. Bears acquired the Bills fourth-round pick in draft trade to select LB Reggie Ragland. Patriots acquired the Seahawks fourth-round pick in draft trade to select DL Quinton Jefferson. Redskins acquired the Jets fourth-round pick in draft trade to select OT Brandon Shell. Bills acquired the Cowboys fifth-round pick in trade for QB Matt Cassel. Redskins acquired the Saints fifth-round pick in draft trade to select DT David Onyemata. 49ers acquired a conditional fifth-round pick from Redskins in trade for TE Derek Carrier. Browns acquired a fifth-round pick from Patriots in trade for OLB Barkevious Mingo. Texans acquired the Bears sixth-round pick in trade for TE Khari Lee. 49ers acquired the Broncos sixth-round pick in trade for TE Vernon Davis. Redskins acquired the Texans sixth-round pick in draft trade to select WR Will Fuller. Broncos acquired the Titans sixth-round pick in draft trade to select DB LeShaun Sims. Titans acquired a conditional sixth-round pick from the Falcons in a trade G Andy Levitre. Lions acquired the Patriots seventh-round pick in trade for TE/OL Michael Williams. Cowboys acquired the Bills seventh-round pick in trade for QB Matt Cassel. Seahawks acquired the Panthers seventh-round pick in trade for WR Kevin Norwood. 49ers acquired the Browns seventh-round pick in trade for P Andy Lee. 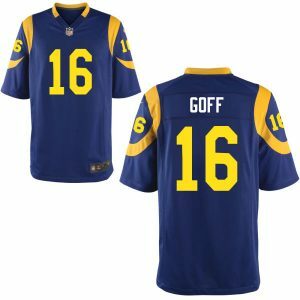 Titans acquired the Rams seventh-round pick in draft trade to select QB Jared Goff. Eagles acquired a conditional seventh-round pick from Broncos in trade for QB Mark Sanchez. Browns acquired a conditional seventh-round pick from Colts in trade for DE Billy Winn. Patriots acquired a conditional seventh-round pick from Lions in trade for LB Jon Bostic. Panthers acquired a seventh-round pick from Browns in trade for P Kasey Redfern. Dolphins acquired a seventh-round pick from Saints in trade for DE Chris McCain. Patriots forfeit their 2017 fourth-round selection as the punishment for Deflategate.